Dr. Fields conducts research in comparative philosophy, ethnohistory, and preservation of Pacific Northwest culture and languages. He has interests in intercultural collaboration and ethical issues related to preservation, repatriation and access to intangible cultural material. Fields has a number of projects in progress (audio, video and textual) that document and explore Northwest history, thought and culture. His current projects include the audio collection Medicine Songs of the Four Seasons from the Straits and Coast Salish , forthcoming from Smithsonian Folkways, and three collaborations with Coast Salish culture-bearers on books accompanied by companion media: A Totem Pole History: The Work of Lummi Carver Joe Hillaire (2013), Rights Remembered: A Salish Grandmother Speaks on American Indian History and the Future (2016), and Sacred Breath: Pacific Northwest Culture and Medicine Teachings (under contract), all with University of Nebraska Press. Ms. Lorenzini is an archaeologist who has conducted research on Native sites examining beads acquired by trading furs to the French. Among other courses for Native American Studies, Ms. Lorenzini teaches the required course ANTH 205: Introduction to Native American Studies. Dr. McClinton has translated and edited a two-volume ethnohistoric work, The Moravian Springplace Mission to the Cherokees (University of Nebraska Press, 2007). Dr. McClinton is a contributing editor to the website, "Women and Modern Empires." Dr. McClinton is guiding the effort to include Native American Women on the website. Her Native American collaborators for this project include Pauline Hillaire (Lummi Coast Salish) and Ardina Moore (Quapaw). Dr. Paulett has published a book entitled, An Empire of Small Places: Mapping the Southeast Anglo-Indian Trade 1732-1795 (University of Georgia Press, 2012). In accordance with the Native American Graves Protection and Reburial Act (NAGPRA), Dr. Ragsdale's collaborations with Native American tribes have facilitated the return and reburial of skeletal remains from over 1,000 native individuals excavated between the 1930's and 1960's. 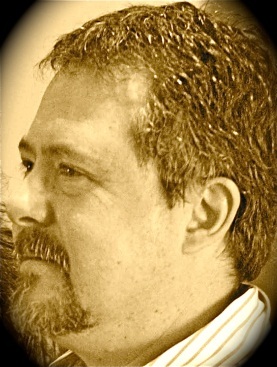 His most recent contributions are a manuscript in an edited volume on American Southwest bioarchaeology regarding the migratory patterns of the Jemez region of New Mexico from AD 1325 to 1550, as well as an article (in progress) for a special edition of Kiva regarding the relationships between the Gallina people and other groups from the Rio Grande Valley and San Juan Basin of New Mexico. Dr. Willmott is currently writing a book entitled Clothed Encounters about the role of clothing and textiles in economic and political relations between British and Great Lakes Algonquian peoples. She is also engaged in a variety of studies that more broadly address Algonquian peoples' historic and contemporary material, visual and oral cultures. 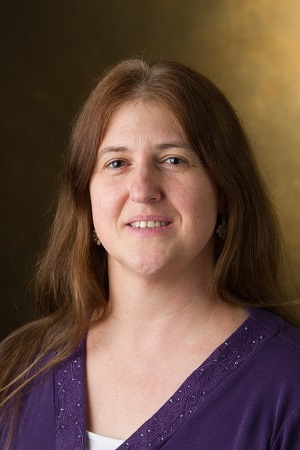 She is also a core member of an international digital circulation project, the Great Lakes Research Alliance for the Study of Aboriginal Culture (GRASAC), and the SIUE IRIS Center, both of which serve as resources to facilitate greater access to indigenous heritage through new technologies. Dr. Zimmermann conducts archaeological research in the American Bottom and Illinois River Valley, investigating past Native American lifeways in this area. In 2009 she published an article titled "Rethinking the Ramey State: Was Cahokia the Center of a Theater State?" in American Antiquity. More of her ideas regarding the Native American hero Red Horn and his importance at Cahokia can be found in "Ritual Objects and the Red Horn State: Decoding the Theater State at Cahokia," which was published in Illinois Antiquity in 2013.